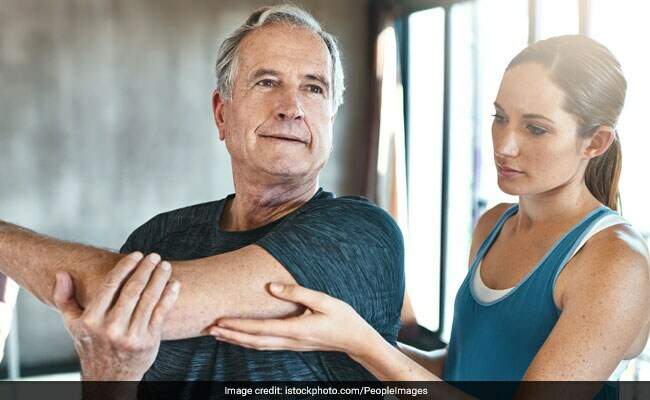 Weakening bones are one of the signs of ageing; however,, in this day and age, people of all ages should take essential steps to maintain and build their bone health. Osteoporosis means porous bones; it's a disease that occurs when the body loses too much bone, makes too little bone, or in some cases, both. Osteoporosis bones have lost density or mass, which means as bones become less dense; they weaken and are more likely to break. Osteoporosis is a common condition. According to International Osteoporosis Foundation, worldwide, osteoporosis causes more than 8.9 million fractures annually. Osteoporosis leads to abnormally porous bones that are compressible. This condition of the skeleton weakens the bone and results in frequent fractures. Most health experts claim that it is the lack of physical exercise, lack of calcium and vitamin D, smoking cigarette, excessive alcohol consumption, low body weight and family history of osteoporosis that may lead to such a condition. Nutrition and osteoporosis are closely linked; therefore, it is important to learn about the foods that are rich in vitamin D, calcium and other nutrients. Your dietary habits also majorly affect your bones. According to a study published in the Journal of Bone and Mineral Research, using a compound derived from red sage, which is a Chinese herb, widely used in traditional Chinese medicine, bone loss could be prevented and bone mineral density increased by 35 percent. Here are some foods that could help strengthen bone density, leading to healthier and stronger bones. Green leafy vegetables are said to contain lots of vitamin K and calcium that your bones need to stay healthy. Include more greens like spinach, kale, mustard leaves and methi in your diet. These foods will help your provide fibre, iron and vitamin A, all of which are known to keep your energy levels up. Alkaline foods like fruits, nuts and legumes help in creating a balance in the body as osteoporosis tends to thrive more in an acidic environment. Eggs are excellent sources of vitamin D and other good quality of proteins. Eat the egg whites and egg yolks that are loaded with vitamin D. You can eat mushrooms too that are a rich source of this vitamin. Dairy products like milk, yogurt and cheese help in building your bones as they are full of calcium and vitamin D.
Load up on fatty fish as they are rich in omega-3 fatty acids, which is good for your bones. These healthy fats help in reducing inflammation. Fatty fish like salmon and tuna contain naturally occurring vitamin D.
Other than these, ensure exposing to sunlight for not more than 10-15 minutes in order to keep vitamin D in check. Vitamin D is great for your bones and need to be regulated.